With the Sacred Medicines and a clear and simple prayer for our lives, the Unimaginable Happiness we are willing to receive becomes Observable Reality. Remove the esoterica from the Medicine and return the Medicine to the People. The intention of all our counsel and ceremonies is to decrease the duration, frequency and intensity of our conflicts with ourselves, with others, and with Creation. In this way we can each create more peace for everyone and everything. The Water says we are not our thoughts or our feelings. What we are is something immeasurably wise that knows how to make more life from everything that will make more life and knows what will not as well. Our ideas opinions and preferences and all of our feelings are all our very best attempt to deal with how truly brilliant the life that we call "I" really is. The Spirit of Everything That Wishes Us Well is inviting all Humanity to join itself in a Living Prayer through the living breathing mechanism of taking complete responsibility for our thoughts, our actions and our personal prayers and carrying them into and throughout our real time daily lives. Ceremony is in no way a separate or special circumstance or a unique event. It is a guide and instruction about what is true and important and relevant about our relations with Mitakuye O'asin. We will fail and succeed at this effort, but that Everything will be with us in every moment, if we ask, to help us to walk in a Good Way. Accept nothing short of happiness as your goal for every moment. Delight in all successes and celebrate them at length, forget every failure immediately. 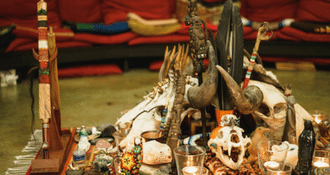 Medicine Path Native American Church offers Sacred Ceremonies with George Grey Eagle Bertelstein on a regular and ongoing basis. Medicine Path Native American Church offers integrated counseling and education services to couples, individual adults & groups. 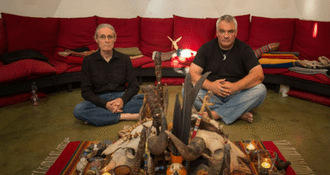 Medicine Path Native American church is a non-profit religious organization in Berkeley, CA. 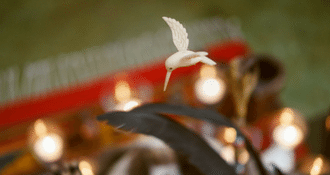 We offer Sacred Ceremonies on a regular, ongoing basis. Join our confidential email list to receive invitations to our upcoming ceremonies. We typically send 1-2 emails per month. You may unsubscribe at any time. 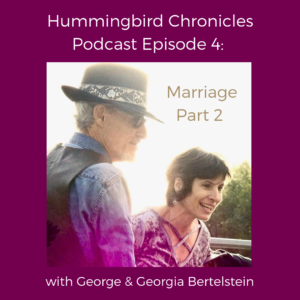 George & Georgia Bertelstein take their marriage discussion to a more vulnerable level acknowledging what they’ve learned over the years of their marriage and life together about vulnerability, reassuring each other of their love, trusting and emotional and physical intimacy. 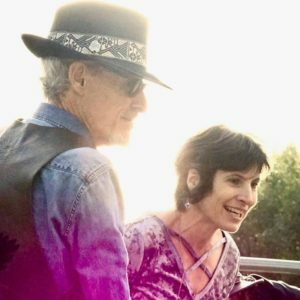 Interview with my wife, Georgia Gibbon Bertelstein, on the threshold of her 50th Birthday. 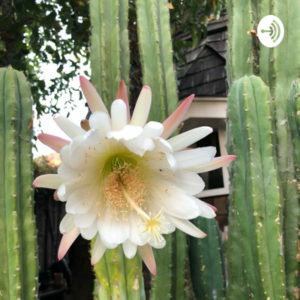 We talk about what the Medicine has taught Georgia about aging and women and the value of a fully lived life.